I often get emails and consultation requests from people asking how long they need to continue with blood thinners after a stent procedure. Ideally, this conversation would be between the prescribing doctor and the patient. But what if the doctor recommends life-long drugs? The good news is, the data seems to suggest long-term pharma is not necessary, and likely very dangerous. Let’s go back to the basics here and I will walk you down the path of coronary artery blockages and how they are treated. For starters, the heart muscle is supplied by three major vessels. The left main coronary artery comes off the aorta and divides into the left anterior descending (LAD) and the circumflex. The right coronary artery (RCA) comes off the aorta to supply the right side and bottom part of the heart. Two things may lead to a blockage in these vessels: poor nutrition and environmental chemicals. When damage is done to the vessels from these two pollutants, the healing mechanism of the body leads to blockade of the vessel. 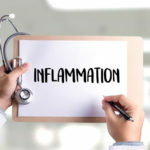 Much like Spackle repairs drywall, plaque forms to seal off inflammation. It is clearly an immune response. When plaque forms, three things can happen. 1) Plaque leads to small blockages of anywhere from 10% to 70% or more. These do not cause symptoms of chest pain or shortness of breath. 2) Sometimes, the plaque which was previously in this 10-70% range can rupture leading to total blockage of the heart vessel. A heart attack is occurring in this situation. 3) The third possibility is a blockage of 70-99%. This situation can lead to symptoms of chest pain (angina) or shortness of breath. Angioplasty stents and medications to treat symptoms of arterial blockage. Some pharmaceuticals are also successful to reduce chest pain (angina). But supplements and pharma do not pay the bills for cardiologists. Angioplasty and stents do. So the vast majority with symptomatic blockage have a stent placed. A stent is a metal scaffold (looks like the spring in a pen) that props open the vessel. It crushes the plaque to the side and opens up the pipe. For symptoms it works great. As discussed in previous blogs posts, stenting does not prevent heart attacks or save lives. After a stent is placed, the patient is put on several medications. Two of these are aspirin and another anti-platelet drug. The purpose of these two classes of drugs is to keep the stent from shutting down. The body reacts to this foreign object and mounts a response. 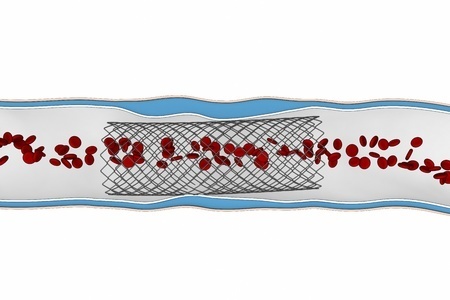 Stents are coated with chemo drugs to keep them open. Aspirin and a second agent (Plavix, Effient, or Brilinta) are also used. There are many natural ways to treat symptoms of arterial blockage. Diet, exercise and nutritional supplements work well in this scenario. In my cardiology practice I recommend these supplements to nearly all my patients. In my opinion, they are essential to heart health. 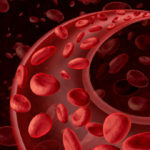 How long does one need to remain on the second blood-thinning drug? A recent meta-analysis has answered this question, in agreement with previous studies. 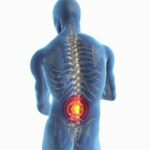 10 randomized trials with over 32,000 patients were reviewed. Short term dual anti-platelet therapy (DAPT) was associated with less bleeding and NO INCREASE IN HEART ATTACKS compared with 12 months of therapy. Short term therapy is roughly defined as around 6 months. The authors also looked at long term dual anti-platelet therapy greater than 12 months. When DAPT was continued longer than 12 months, heart attacks were less likely. The bad news is that major bleeds were 62% more common and the death rate was 30% higher! So often, cardiologists keep patients on these drugs for the long-term. I have yet to figure out why. They are dangerous and very expensive. One issue likely has to do with complacency. The patient list of pharma is not reviewed and scripts are renewed without thought. Drug companies also solicit docs to continue with the costly drugs. 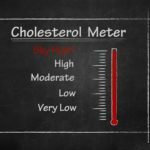 Ultimately, the cardiologist fails to see the risk of long-term use, only choosing to see a small cardiovascular benefit, as opposed to the increased risk of major bleeding and death. Hopefully, the heart docs will read these journal articles (or this post) and think about what benefits the patient the most.